Care2 Causes | Should We Label Our Food's Climate Change Impact? Should We Label Our Food’s Climate Change Impact? Denmark is considering whether it should label everyday food items to give consumers a quick-glance way of knowing how much their chosen foods impact climate change. The proposal is part of wider initiatives to create more readily accessible information for consumers, so they can make informed choices on what they are buying. “We want to give consumers the means to assess in supermarkets the environmental impact of products,” Minister for the Environment Lars Christian Lilleholt told The Local Denmark. ”I will enter into dialogue with the retail sector, butchers and other food producers to open a discussion about how we can implement this in a way that would enable the climate labelling to work,” Lilleholt said. The move has been greeted by campaigners as an important step forward. 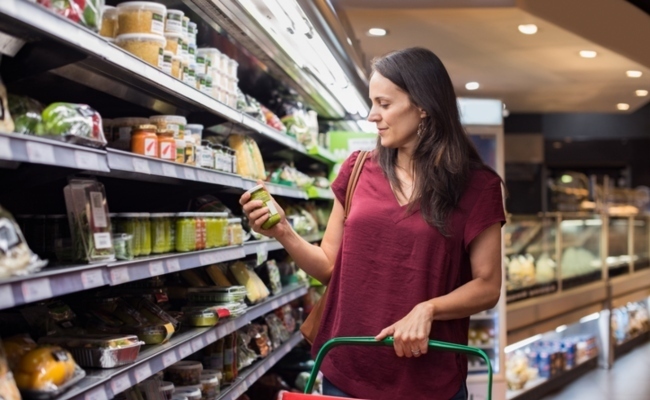 Some nutritional experts have cautioned that, while they welcome climate change labeling in principle, they would urge the government to think carefully about how to avoid confusion when presenting that information alongside nutritional labeling. For example, some products that are good for us, for example bananas, actually have a higher climate footprint, because they often need to be imported from abroad. Compare that to products that can be domestically sourced, for example gelatin-based sweets, and in terms of climate impact the sweets might come out on top. However, we know that nutritionally the banana would be far more valuable. This isn’t an insurmountable hurdle, though. One method of balancing this could be to use a traffic light system that gives a red, yellow or green label (from bad to moderate to good) that informs on climate change impact. To arrive at that score, variables could be worked out by cross-referencing things like nutritional value per calorie to climate change impact. The ratio would be valuable, because you’d have to eat several times the amount of a less nutritionally-dense food to get the same benefits, which would therefore boost its climate impact score. We would therefore need to find a way of balancing nutrition and climate change impact. This illustrates how difficult this balancing act could be. We know that soy products, in particular, can be harmful to the environment if they come from farms where vast swathes of land — sometimes much needed forest cover — have been cleared, thereby harming animals like orangutans and other endangered species. Of course, mass market cattle farming is also intensely damaging and uses a lot more soy to feed animals than we produce to make tofu. Balancing those factors could be tricky and could produce unexpected label results for some products. This initiative is exciting, because it’s one way in which we might create a soft power for consumers to tell companies what they want (i.e. lower environmental impact-products) by using their purchasing power. It will be interesting to see how this scheme develops and if Denmark can make this labeling both meaningful and accessible. If it can, this could be a leading model that other nations should adopt as part of their own plans to fight global climate change.